NEW NIGHT! 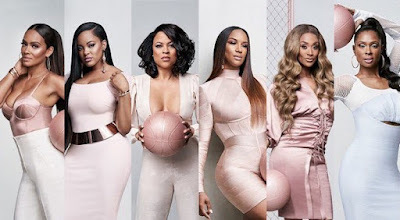 ALL NEW Basketball Wives Season 7 Season Finale at 10PM on VH1 #BasketballWives ~ Phresh Hott New! On today episode of Basketball Wives Season 7 Season Finale, Evelyn’s good intentions for bringing Jen to Amsterdam backfires. Jen’s presence ignites a fire that no one could have expected. Malaysia reaches her breaking point and Evelyn hears rumors about her family that Jen has been spreading. Malaysia Calls Out Jennifer for Being Manipulative…. Look below as while away from Tami, Evelyn tries to help Malaysia and Jen sort out their drama, but Malaysia is unwilling to forgive Jennifer's betrayal.